I keep seeing this awesome post floating around in blogland and have been wanting to join in. Elsie Flannigan over at A Beautiful Mess (love her blog!) 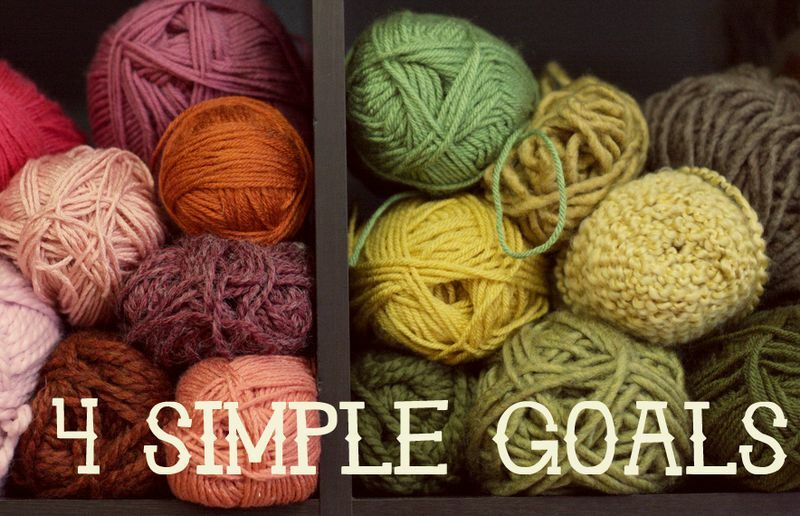 posted a simple but fabulous challenge- creating 4 Simple Goals to complete by the end of 2010. 2. Take more pictures of the everyday. I was talking to my hubby the other day about this. I want to capture the everyday more - I cannot even remember the everyday and what it was like a year ago, not to mention 2 or 3 years ago! It's crazy how fast mundane details can quickly fade. Looking back through my mini albums of our trips or from last Christmas, it is SO wonderful to see pictures (and journaling) that jog my memory of a particular event or thought. I know, isn't this the greatest? My 4 goals are: 1. Take more pictures (I think a lot of people have this one!) 2. Eat healthier. 3. Start making Christmas gifts early this year (not mid-December) 4. Make myself an organizer/planner. Would you mind posting your meal plans? I have been wanting to do this for years and could use some inspiration! Thanks!